New logo / album art? New album thread: Summer 2019? Late Bloomer by Todd Morse out now! 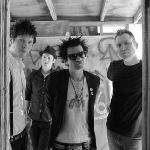 All upcoming Sum 41 dates will be posted here. Post live reviews in here as well. Sum 41 is back in Europe! About time to get a chance to jump to the tunes of In Too Deep with thousands of sweaty guys and girls! This year Sums' setlist has been very DTLI heavy. I'm really hoping they would bring the same set with them to Europe. As it has been in the past, there's a possibility that some of the festivals are being streamed live. Look out for links and post them here if you find any! So let's do this. Who's coming? Join the FB events for updates. They did a collab with Mike Shinoda and played Faint on Reading! 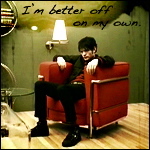 And I don’t wanna slip away. Also on Leeds Festival too. Was an amazing shows, and the "Faint" cover was epic. © theresnosolution.com, Powered by phpBB.